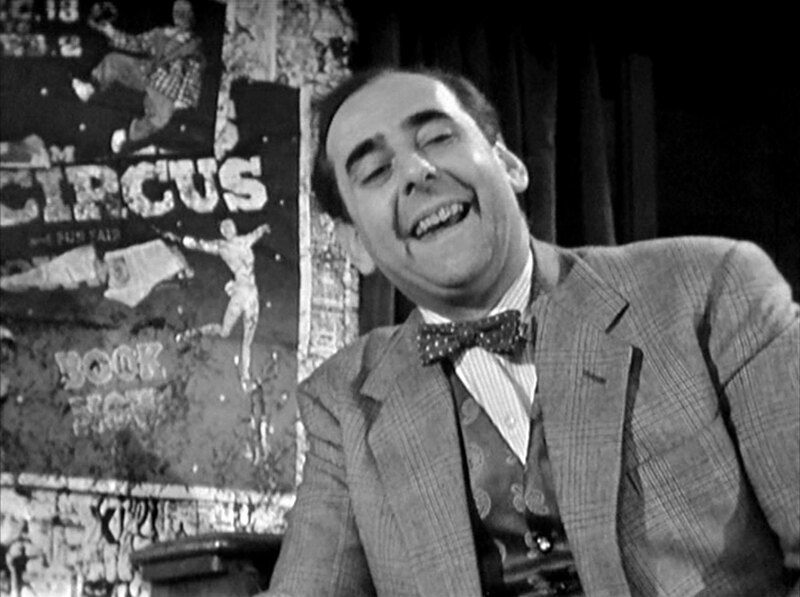 At a circus booking agency, Mr. James (Artro Morris) is laughing at his office being a regular lost and found office - snake acts for New York, fliers for Bangkok, but this is the first time he's found a man's brother-in-law for him, and the Italian Sica (Alec Mango) joins in the laughter. Carlo (Robert Rietty) protests he has an English wife, but blanches when Sica reminds him of the past with the word 'Omerta'. Carlo says he hasn't been back to Italy in 16 years but is reminded he took the oath. Sica tells him it's the highest card, only a death certificate can trump it, and orders him to kill a man, showing him a photograph of John Steed! Steed takes Sheba for a walk, tossing a tennis ball for the dog and Carlo emerges from the bushes, nervously clutching a briefcase. He trails Steed and draws a silenced pistol from the case. 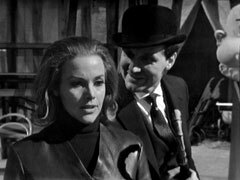 His shot misses and Steed takes cover behind a log, at which Carlo panics, drops the gun and case and runs away, encountering a couple of children and two wood-cutters in his flight. Sheba meanwhile has sniffed out the case, which Steed picks up. Sica visits Carlo's wife Rickie (Sandra Dorne) at Gutman's circus, telling her Carlo is in a lot of trouble and will be deported if the police find him. She's frightened, knowing her husband will be killed if he returns to Italy, but swears she doesn't know where he is other than he had gone to London and promises to let Sica know when she finds out. Cathy meanwhile visits James, who puzzles over what act she can be until she reveals she's looking for a slim Italian clown who wears glasses. James says he might know him, then disavows all knowledge when she calmly says he was supposed to kill an acquaintance of hers. She presses him and he identifies him as Carlo Bennetti, known as Bennett, who is a gentle man but had met another Italian in his office the week before and they'd all had a drink together. He recalls the meeting and Cathy starts when she hears the word 'omerta'. James goes to find details of Bennett's whereabouts and Steed arrives. She fills him in and he tells her the omerta is a Mafia oath - the conspiracy of silence. He's sure it's linked to an international dope peddling case he's investigating and asks her to find out what she can. Later, back at the circus, Gutman (Roy Purcell) complains to Rickie that Carlo's been away for a week and tries to make a move on her. She brushes him off saying he'd be nothing without Carlo and is told, after she rejects another advance, she'll be on the street if he doesn't return in three days, and will have to share her quarters with a female journalist who's coming to the circus - Cathy, of course. Cathy is led in by Terry (John Church) and she's introduced to the clowns Leggo (himself) and Arturo (Tommy Godfrey), and Elizabeth and Collins (themselves), a knife-throwing act that had been the only act practicing. She comments on the Italian names and Gutman grins and reveals that Arturo is in fact a cockney. She apologises, saying he'll get sick of her asking so many questions at which he says he won't have time to answer them. Leggo and Arturo tell her 'The Professor' knows more about the circus than anyone else and Gutman mysteriously tells her 'anyone will tell her where to find him'. Terry delivers Cathy's cases to Mrs Bennett's caravan and Cathy arrives a moment later and introduces herself. She learns that a clown's makeup is his trademark then rather brusquely asks Rickie where Carlo is, at which she sadly says she doesn't know and goes outside. Cathy plays with some of the clown props and the Professor (Willie Shearer) peers in the window at her as she searches the dresser then writes a note which she seals in an envelope. 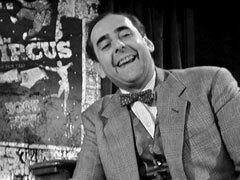 He enters - revealing that he's a midget - and introduces himself, saying his family has been in circuses since the fifteenth century. He tells her some circus trivia then tells her for a fiver he'll tell her what she really wants to know - where Carlo is. Caught off guard, she denies that's her purpose and he shrugs his shoulders and leaves, telling her to ask for the professor if she changes her mind... and Sica watches him leave. Next day, Cathy takes some photos of the troupe, telling Gutman her article will be one of a series about how the little guy struggles against big business and he's thoughtful when the Professor leads her away. Meantime, Sica tries to force Rickie to tell him where Carlo is but Terry bursts in when she screams in pain and he's sent packing. Arturo puts his hands across his face when Cathy takes photos of the clowns and is upset when Cathy manages to take a picture of him holding the Professor. Leggo tells her Arturo's a beginner - he's only been with them for eight years. Later on, Rickie reveals to Cathy that Carlo lacks ambition and is overly loyal to Gutman, who gave him his first job after the war and is a hump on his back. She lets slip that Carlo is hiding then covers up with a story about how dedicated a clown he is. 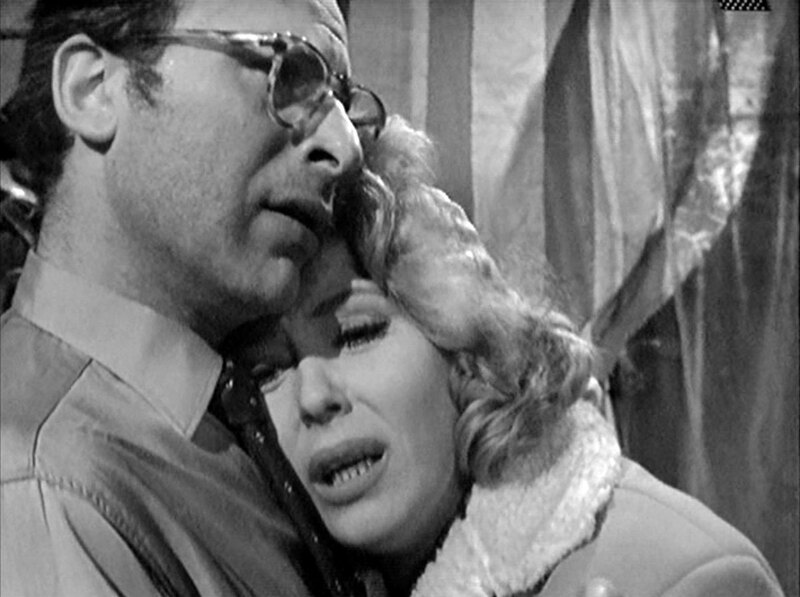 Cathy wonders why Carlo is sad outside the ring and learns that they had a baby boy who died in a blizzard; he's scared of children after his plane accidentally bombed a convent in 1943, killing 80 children and some nuns. 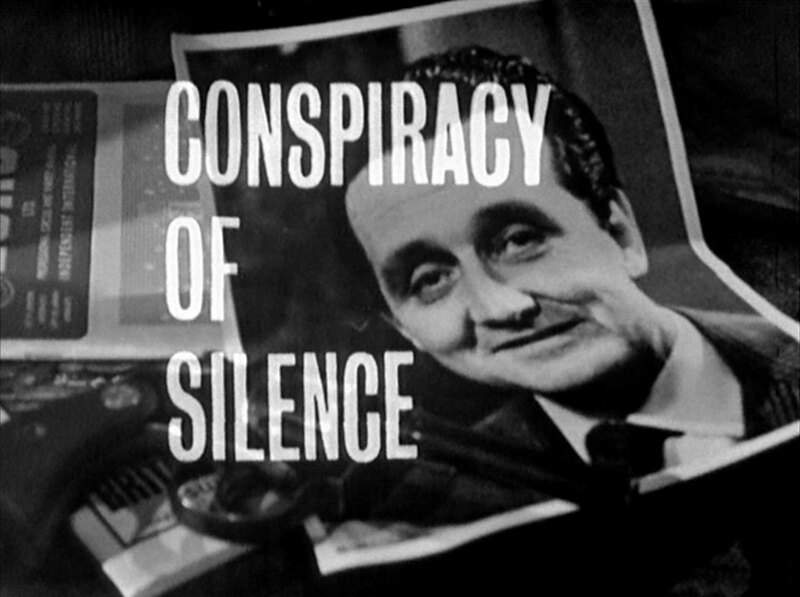 Cathy calls Steed at James' office during the night's performance and tells him about Arturo, saying she's sending some photos and James says he's a cockney boy who's been around for years. Back at the circus, Cathy disturbs Arturo when he's checking her photos and he tells her he's been 'blistered' by his missus once already. She promises not to publish his photo and he thanks her and leaves. The professor hops in the window when she returns to the pile of photos and observes that Arturo is becoming friendly and she hasn't taken him up on the £5 yet. She asks him about Terry and shows the professor some photos of Terry - one with a bandage and once with a circus 'charity' tattoo. The professor shows her his, saying everyone has one, and suggests it was sore; Cathy realises it's a new tattoo to help him fit in with carney folk. Rickie slips through the animal tent, followed by Terry. She's startled to see him and he departs after she assures him she doesn't need his protection. She enters Leggo's tent and as the make-up comes off we see that it's actually Carlo, who embraces Rickie when he sees her. She tells him Leggo is recovering well in hospital and wants to know when Carlo willl stop impersonating him. Carlo says he's scared as the Mafia knows no bounds and Rickie declares she hates Steed despite not knowing him - either he dies or they do. He says he can't kill a man in cold blood and she gives him two tickets for the final show, telling him to send them to Steed and if he won't kill him, she will. Meanwhile, Cathy visits a tattooist called Rant (Ian Wilson) who, after being bribed with a fiver, tells her he did Terry's tattoo three days ago. Steed arrives at the circus and realises things are 'hotting up a bit' when he learns Cathy didn't send him the tickets. She tells him Terry is almost certainly a phoney and he is turns shows her that her photos prove that Carlo is posing as Leggo, wearing contact lenses. He plans to put the frighteners on him to discover who his employers are and Cathy has a row with him, thinking he's taking the wrong tack. Meanwhile, Sica enters the tent where Carlo is putting on his makeup and greets him by name. 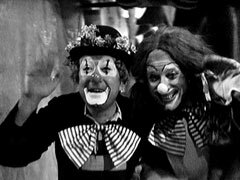 Later, Carlo tells Rickie 'he is already here' and he plans to sneak up behind and fire a shot as the clowns leave and asks her to wait in the trailer with Terry - who is getting his orders from Sica. The clowns enter the ring - Arturo in Leggo's makeup and Carlo now dressed as Arturo - and play around with some cap guns while Sica slips into the box next to Steed's. The clowns challenge each other to a pantomime duel ad Arturo approaches Steed with a gun in his hand. He looks disturbed when Steed points his own revolver at him, and turn and opens the trick gun, Carlo running on with an arrow through his head, falling at Arturo's feet, who blows a trumpet in triumph. Sica meanwhile returns to the Bennetts' caravan and holds Rickie and Cathy at gunpoint, saying they'll wait until Carlo does his job. Steed confronts 'Leggo' in the dressing room and discovers it's Arturo, who laughs and tells him Carlo is waiting for him in the ring. Sica tells Rickie that once Carlo has succeeded he willl be killed, Terry willl see to it. Cathy jumps him and pulls a gun, telling Rickie that Steed knows all about Terry. Steed is in the ring, and shoots out the spotlight Carlo trains on him. A second spot floods the ring and Steed tries to reason with Carlo, who tells him he joined the Mafia as a kid and it's too late now. "Much too late, Mr Steed", grunts Terry as he holds Steed up. Carlo joins them and Terry says he'll do the job, as Sica is with Rickie. Carlo fires and Rickie bursts into tears when she hears two shots and Sica laughs when Cathy proposes seeing him in the dock. they braces themselves when footsteps approach, then Steed enters and diffuses the atmosphere - Carlo is waiting in the caravan with the police. Steed rejoins Cathy in the ring and is delighted to find her shaking, having thought him dead and she rushes off angrily, tears in her eyes, when he makes light of it.